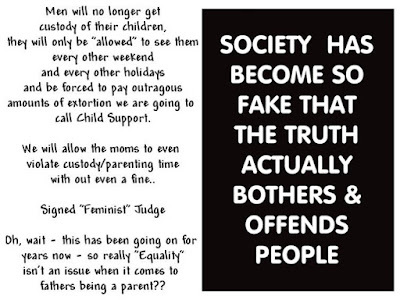 Children's Rights: How do I protect my kids from my ex turning them against me? How do I protect my kids from my ex turning them against me? 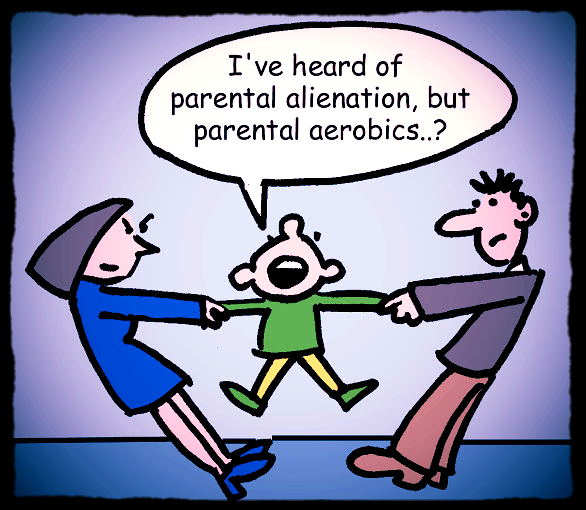 At some point, when pondering divorce, parents worry about how child custody /timesharing arrangements will get decided. 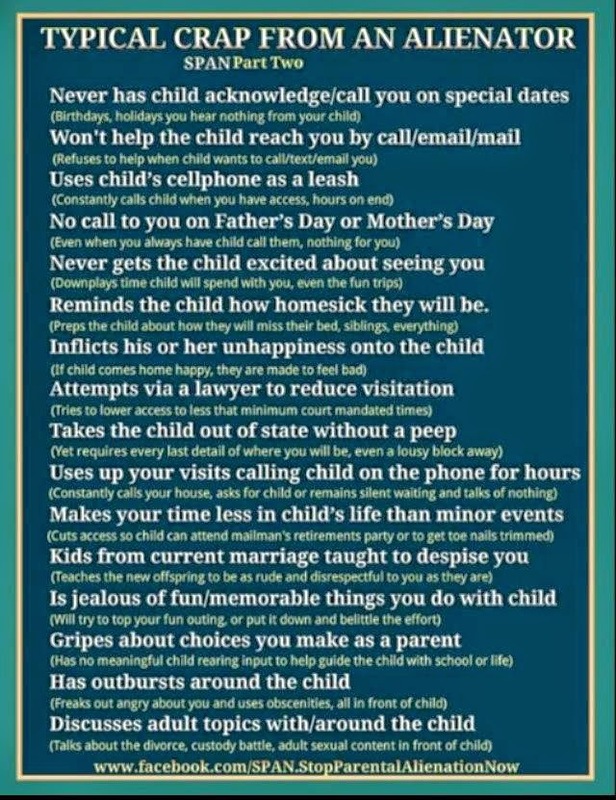 Florida's laws regarding child custody / timesharing focus on the rights and best interest of children. 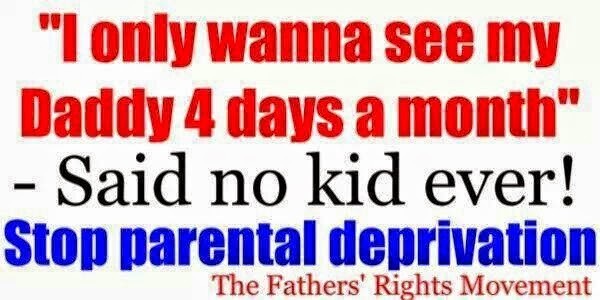 That means under reasonable circumstances, divorcing parents in Jupiter, Delray or Wellington can expect to receive plenty of quality time with their kids. 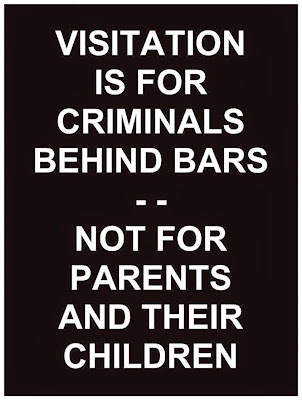 Florida courts use the term "Time-Sharing" as the designation of visitation/contact. According to About.com's Single Parent pages, Time-Sharing is "a type of visitation where one parent is awarded majority timesharing of a child while the other parent is awarded generous visitation." 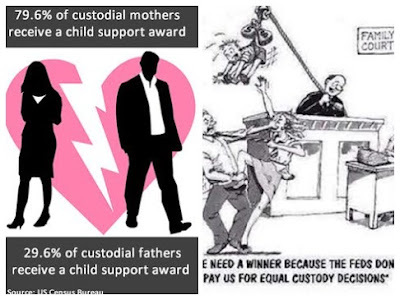 Physical custody in some states means the primary residence of the child or children. 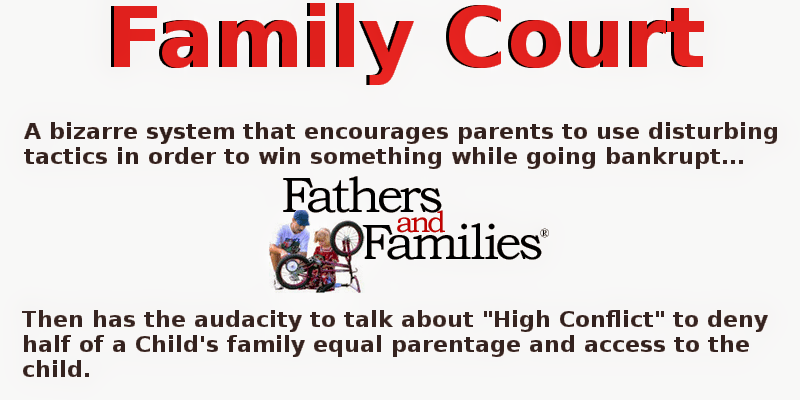 Debrina Washington, author of the About.com article says that "best interest of the child" guides judges to review parental dynamics. 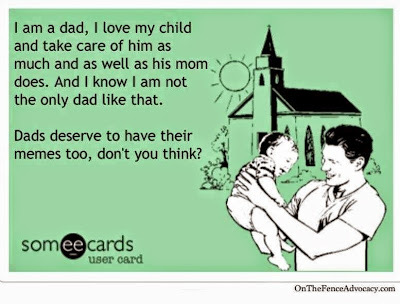 They look at mom and dad's attitudes towards positively supporting the child's relationship with the other parent, their intention to remain levelheaded when real life changes occur, their desire to place the child's needs first, and their ability to be involved in the child's school or other activities. 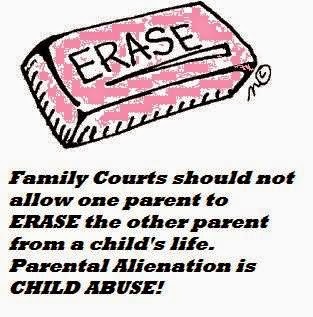 Add to that the stability of each parent's home, his or her physical and mental health, and any history of child abuse and the court can make a reasonable assessment for custody sharing. 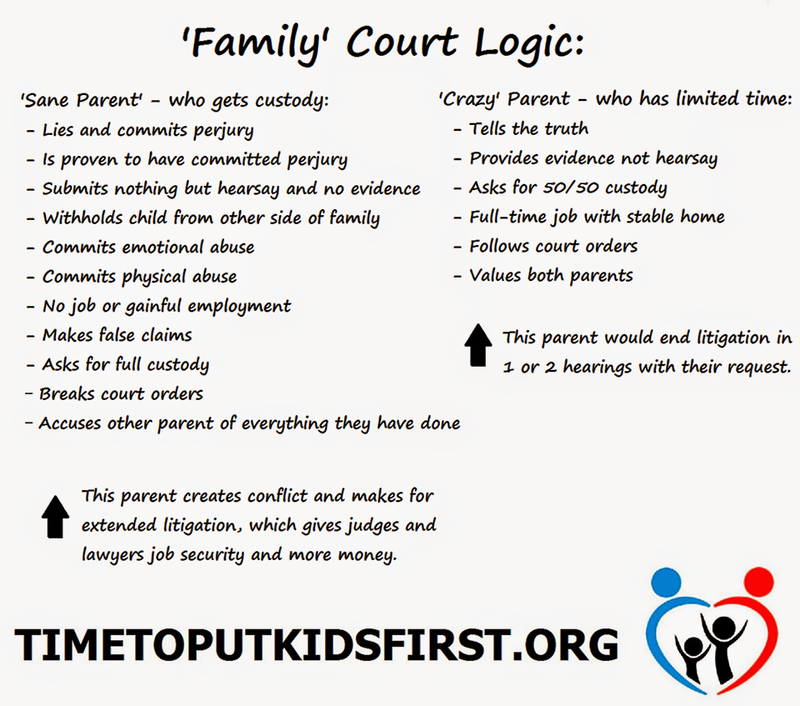 Florida Statute § 61.13 outlines the 24 best interest factors that Florida judges consider in divorce cases. Once the timesharing arrangements are prescribed by a judge, it takes "substantial, material, or unanticipated change in circumstances" to have the order modified. 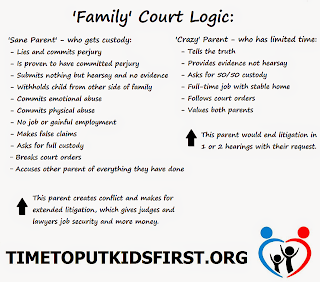 This must be legally shown by the modifying parent and must continue to uphold the interest of the child. 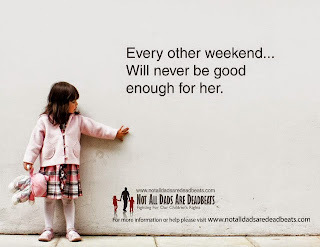 In divorce, time with children becomes more precious. Understanding Florida's laws and the rights of children to be with both parents is important. To get assistance with child custody, contact an attorney board certified in marital and family law in your area. 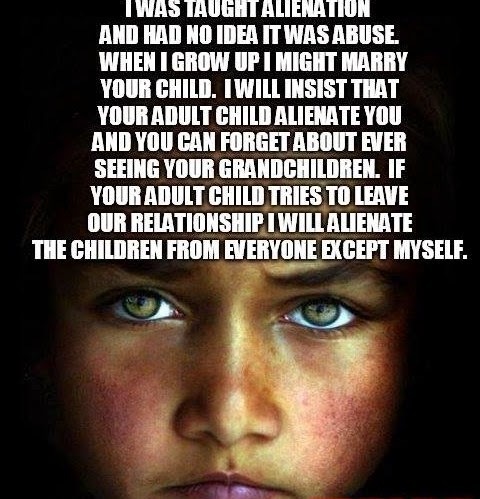 Parental Alienation is an act of brainwashing and manipulation to get the child/children to hate the other parent. 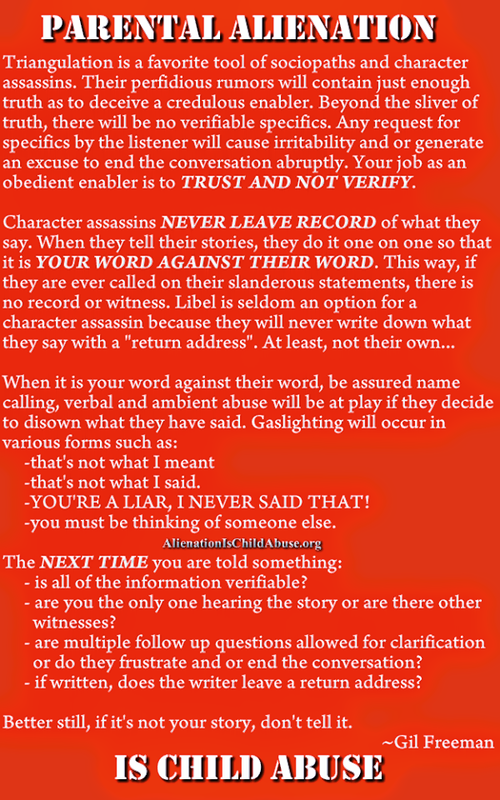 The campaign of hatred can be all of the sudden, or gradual, but it comes from nowhere. 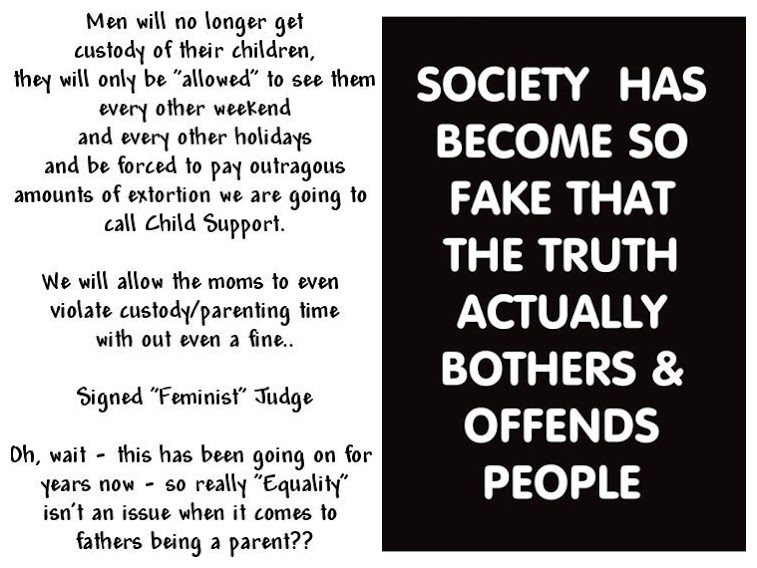 The children begin to align themselves with the alienator parent and begin denigrating their other parent, defying them, disobeying, telling them that they don't have to do anything because the other parent tells them to. 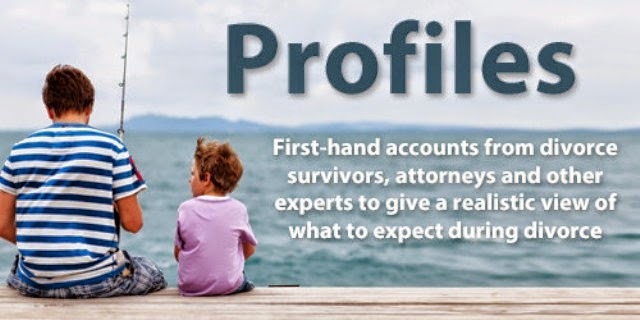 It can also be so severe that the children will make up stories of abuse or traumatic things that happened to them based on what the other parent has instilled in them. 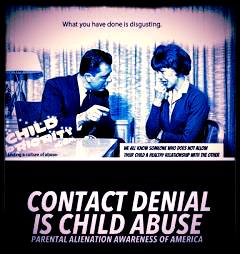 A simple event, such as telling a child to wash the dishes, can turn into something huge and abusive. 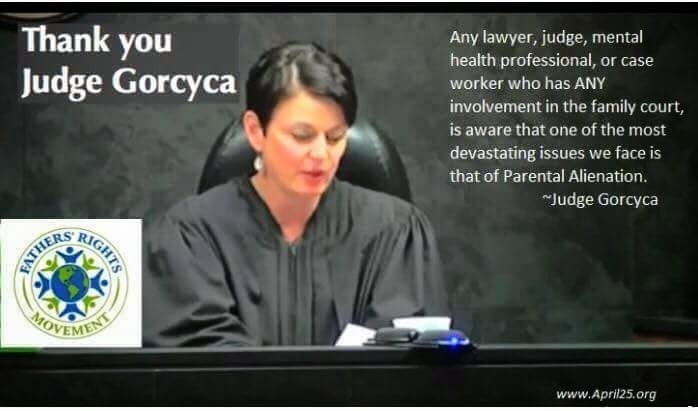 These events and false claims of abuse, the unwarranted hatred, and ignoring phone calls, texts or emails, not wanting to be with the parent, defying court orders to even see the parent shows that the child has Parental Alienation Syndrome. 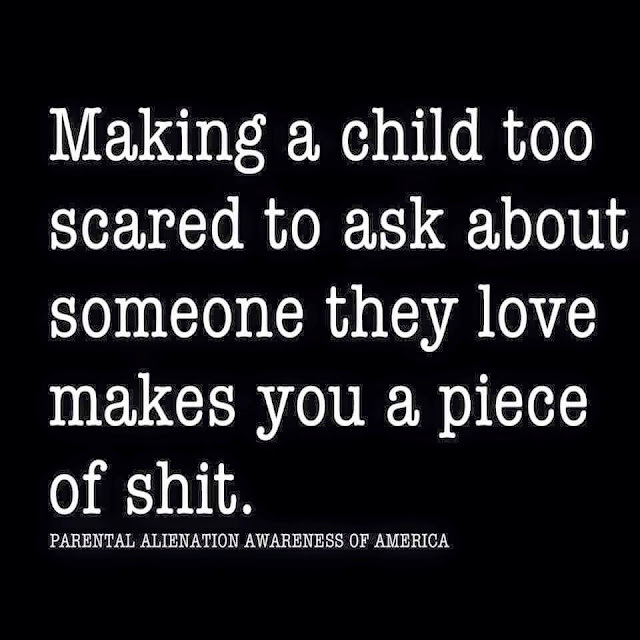 This can be so severe, that the child will go months, years or even a lifetime with never wanting to see their loving parent again, leaving them completely out of their life. 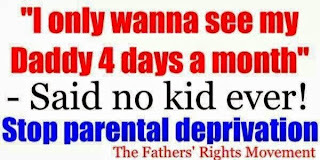 They will cut out every aspect of that parent's life and their other relatives on that side of the family. 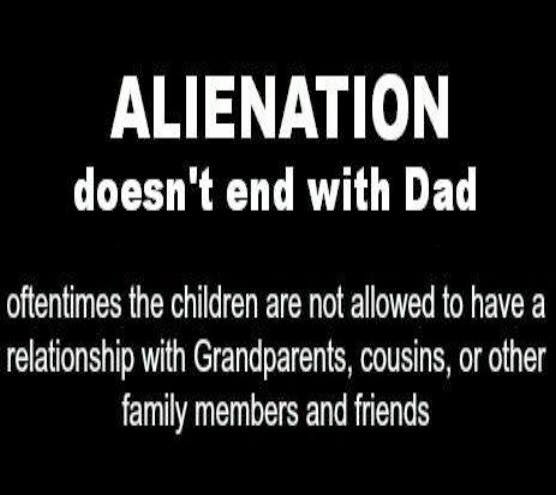 The alienator parent, is typically a narcissist that enjoys the hurt and pain that he is creating for the other parent. 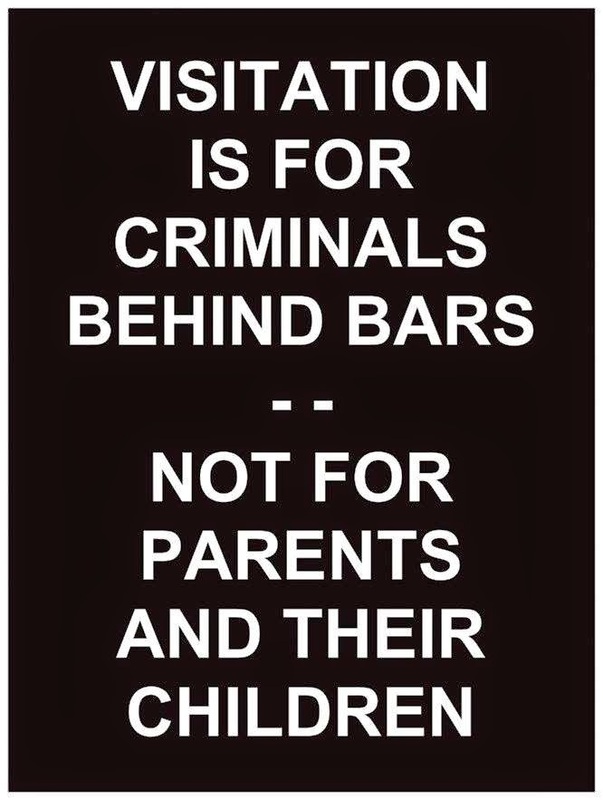 They show no remorse, and will state that they try to get the children to call, but they just don't want to. 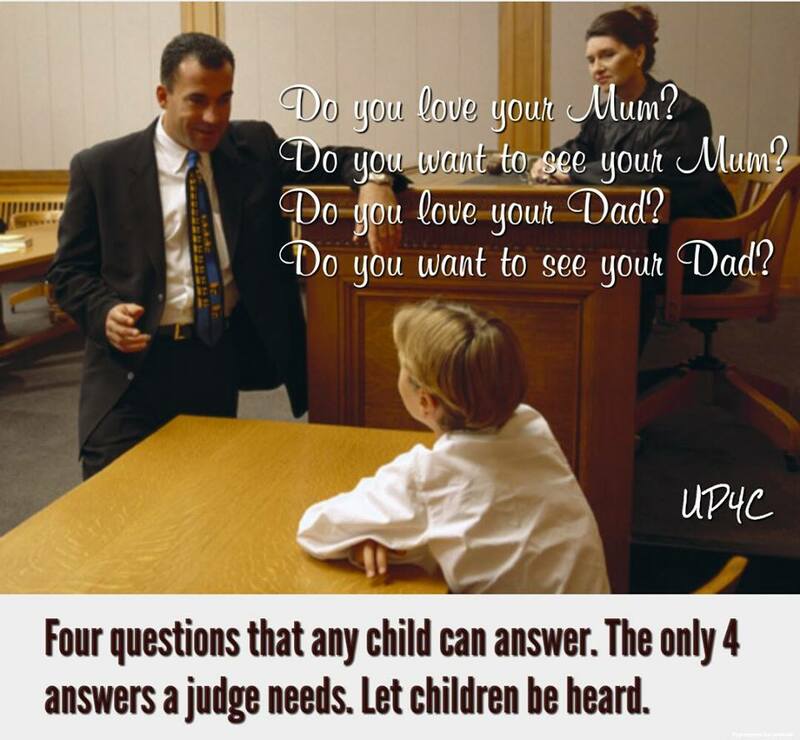 They also "ask" the children if they want to go to the other person's house, even though it isn't up to them and in the court order. 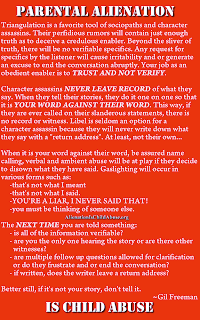 When the child says no, the alienator parent gets worse, and takes matters in their own hands in order to "protect" the child, keeping them from the other parent regardless of the order, called Parental Kidnapping. More Bad News: Amber Loses Joint Physical Custody Bid, Must Pay Ex Child Support!